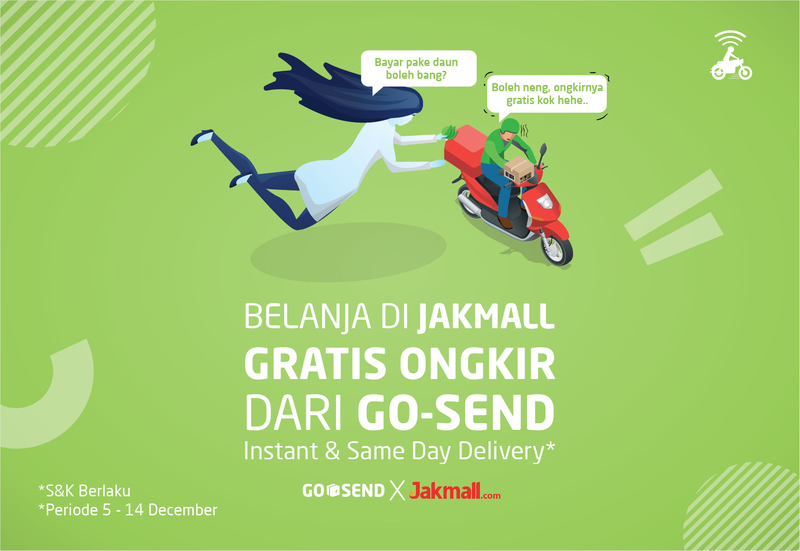 1.Open the GO-JEK application and select the GO-SEND feature. Make sure that the items you want to send have been packaged properly and securely. 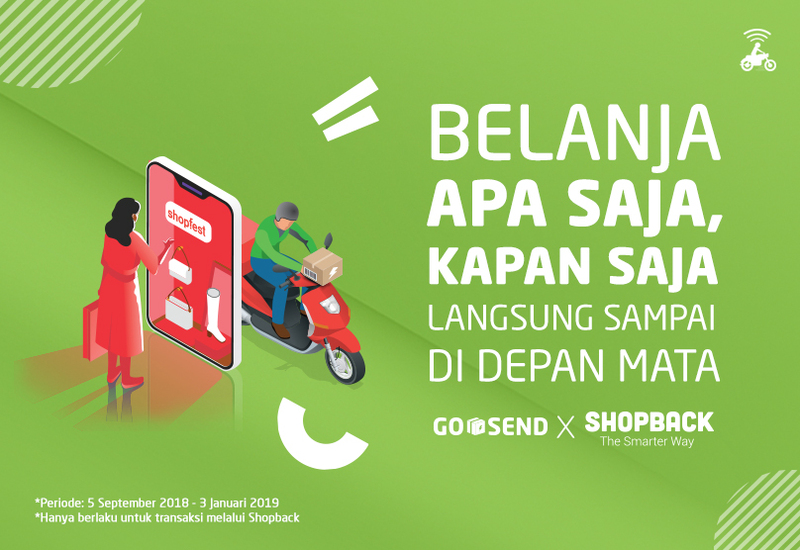 2.Enter the pickup location and delivery destination. 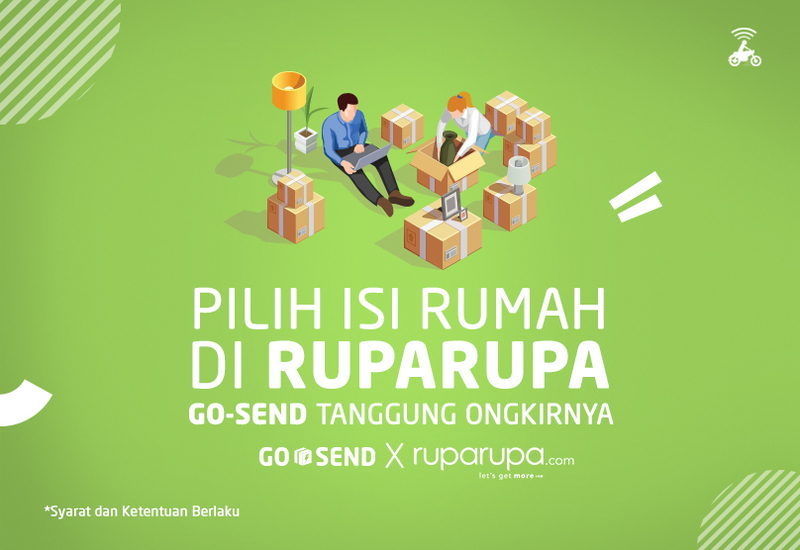 3.Enter your item information and the contact details of the sender and the receiver. 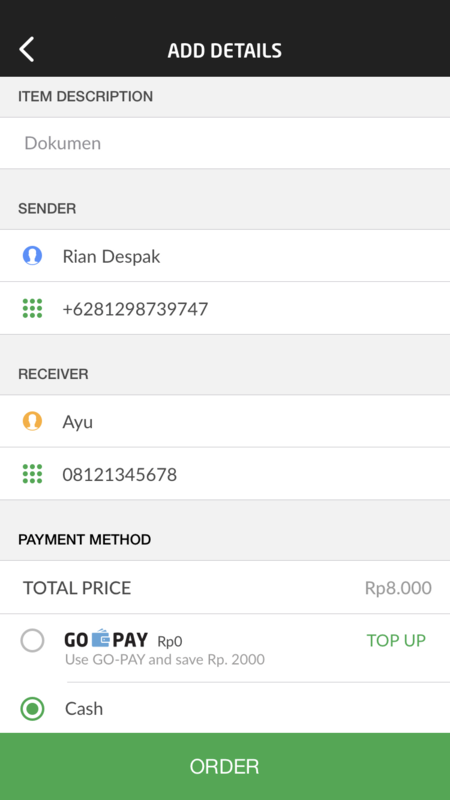 Then select your payment method. 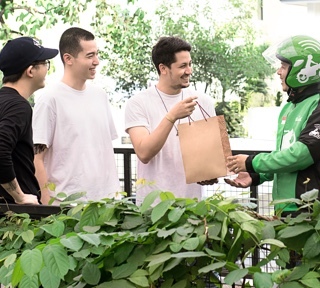 4.Our system will find a driver to deliver your items. 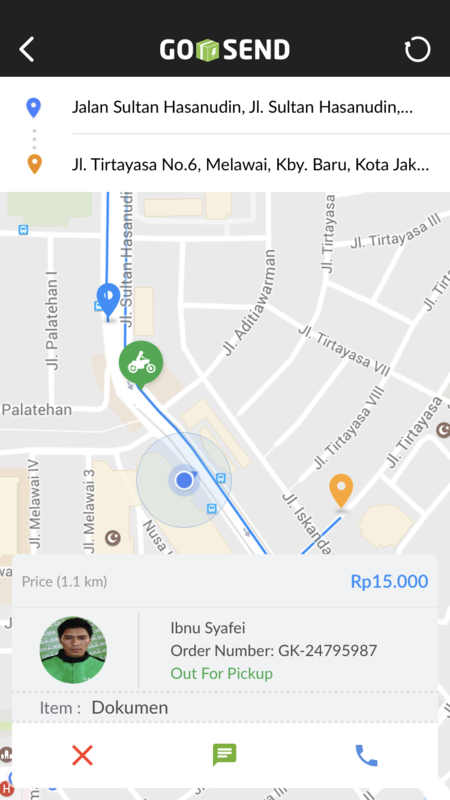 5.Make sure that the driver receives the items as described in the app. 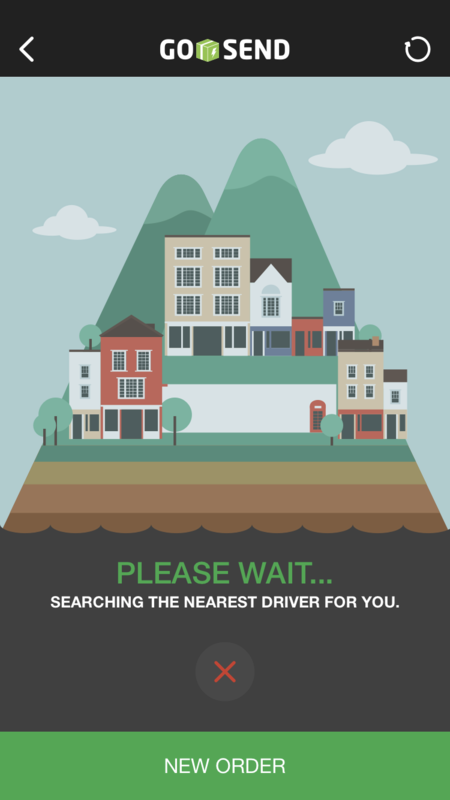 Find a courier instantly. Our service is available 24/7. 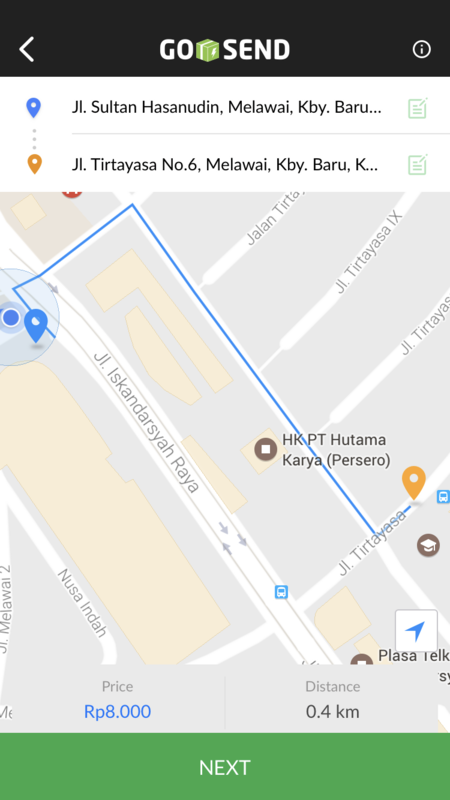 Track the position of your courier and items anytime. For delivery within one delivery zone.